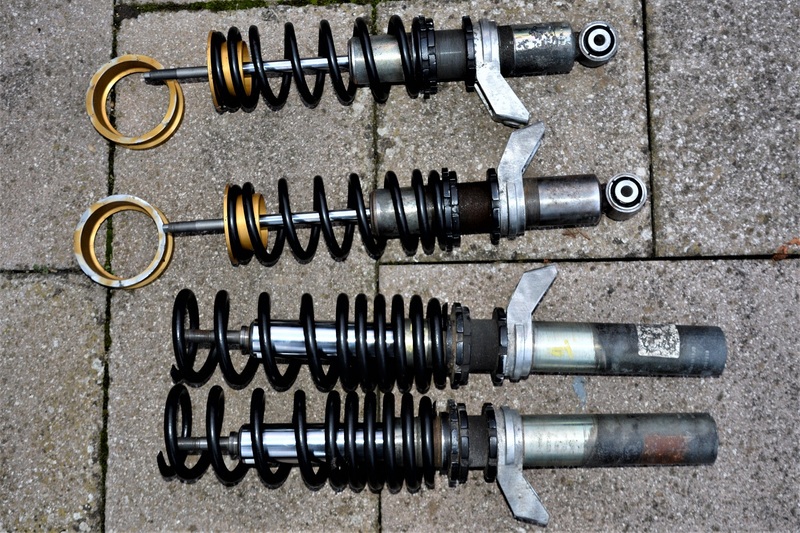 911uk.com - Porsche Forum : View topic - Bilstein 996 GT3 shocks/springs- Rebuilt- for C2 conversion? 911uk.com Forum Index > Porsche Car Parts For Sale & Wants > Bilstein 996 GT3 shocks/springs- Rebuilt- for C2 conversion? Posted: Fri Dec 30, 2016 8:01 pm Post subject: Bilstein 996 GT3 shocks/springs- Rebuilt- for C2 conversion? Unused since rebuild by Bilstein. Springs powder coated in BLACK. Complete vehicle set including anodised top mounts, all in Bilstein packaging. Just needs GT3 top mounts and drop links to convert a C2 to GT3 suspension. Now with Matt at Fearnsport for anyone who would like to see them. Are these off a Mark I GT3, or Mark II, please? If these are still with Matt next time I'm down there I will take a look.